As wargamers, we take so much for granted. We gather round in good company to play games, whiling away the hours rolling dice, accumulating tokens, and shuffling little figures around aesthetically pleasing terrain. Rarely do we think about how those games are designed, the sweat and tears shed, or the sheer hard work that goes into them. That is the way things should be. Nevertheless, sometimes it would be interesting to get under the hood and see the inner workings, to find out how the magic glitters. 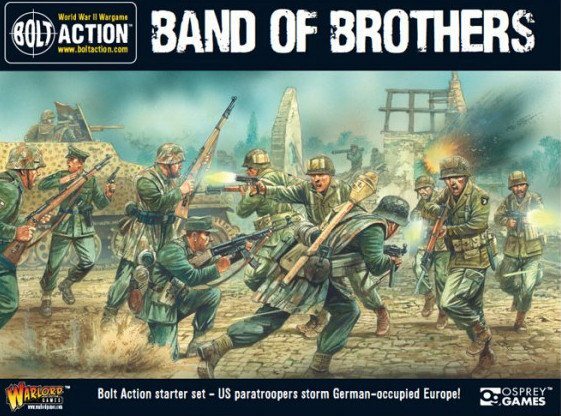 If that sounds like you, then you are in luck with the publication of Tabletop Wargames by two of the world’s top wargames designers Rick Priestley and John Lambshead. The result is something of a victory in the grand tradition of gaming, but it is not all plain sailing. 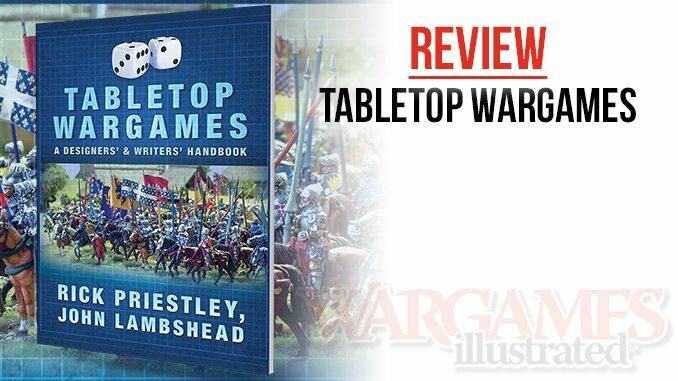 Tabletop Wargames sets out smoothly enough, laying out broad definitions of wargaming and rules production. The authors move quickly along to discuss the perennial problem of scale before constructing the basic scaffolding of rules design and the terminology employed. Rolling dice with the consequent spectacular array of results is discussed next and in some detail. Then, as if the authors had caught themselves becoming too dry and dusty, they move on to presentation, which both seem to agree “trumps every other aspect of tabletop wargames design”. 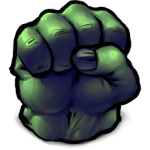 The resurgence of skirmish gaming and its unique problems for designers comes next followed by a lengthy chapter on writing with its three guiding principles; clarity, brevity, and respect for the reader. Once the basic rules are laid down, it is time to put together the sundry elements such as army lists, including points values, and scenarios. The authors conclude with a chapter on creating campaigns that give meaning to sometimes spurious battles, and a useful bibliography. To this crusty old wargamer, some of the arguments advanced in Tabletop Wargames rankled to varying degrees. This begins with a false dichotomy between games designed as simulation and those written for entertainment: the counterargument places them on the same spectrum. There are also some straw man arguments set up against old-school gamers, “chaps in cardigans with pipes and slippers,” who might see the emphasis on presentation as putting style over substance, or who appreciate more than a skeleton historical background to inspire them to play a set of rules. As far as rules mechanics goes, resources and logistics are surely worth more than a cursory dismissal, and a similar side-lining of naval and air wargames smacks of avoidance. Nevertheless, there is much to like about Tabletop Wargames. Rick Priestley’s rules in particular are such models of elegant design that it is almost redundant to point out the crispness of his book on how to write them. Nowhere is that more evident than in the technical chapters on scale and dice-rolling where potentially tedious material is turned into deftly handled exposition. In addition, at no time do the authors abandon their own rules on writing with clarity and brevity, although sometimes their points are too brief. Tabletop Wargames most importantly achieves its objectives. The authors describe it as a handbook for designing rules, and by following their guidelines prospective rules writers will, I suspect, not go too far wrong.